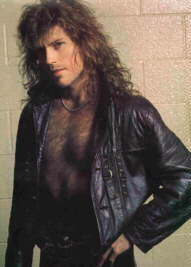 Who is the man that single handedly changed the face of heavy metal music as we know it today? Well, umm, I don't know, really. 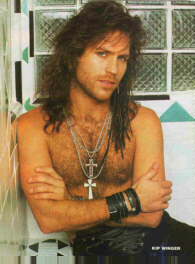 But I am pleased to present Mr. Kip Winger! Fawn over him as millions have before you. Love him as you know you should. Worship him as the god that he is. Everybody should have a Kip in their shower! I love that leather jacket! Somebody catch me, cause I'm gonna faint! 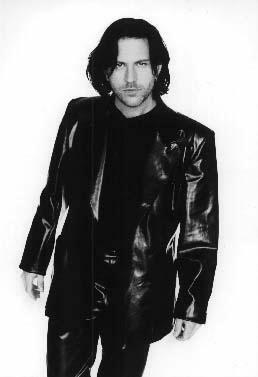 I am proud to be the President of The Sarahland Kip Winger Fan Club. And here are the lyrics of the Winger song "Seventeen." 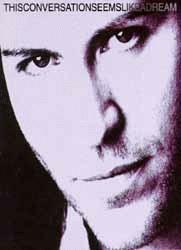 We at The Sarahland Kip Winger Fan Club have adopted "Seventeen" as our theme song. Everyone can identify with the primal need to perform illegal acts with underaged girls. This page is dedicated to Julio, the most devout Winger fan I've never met. Go back to the waffles.